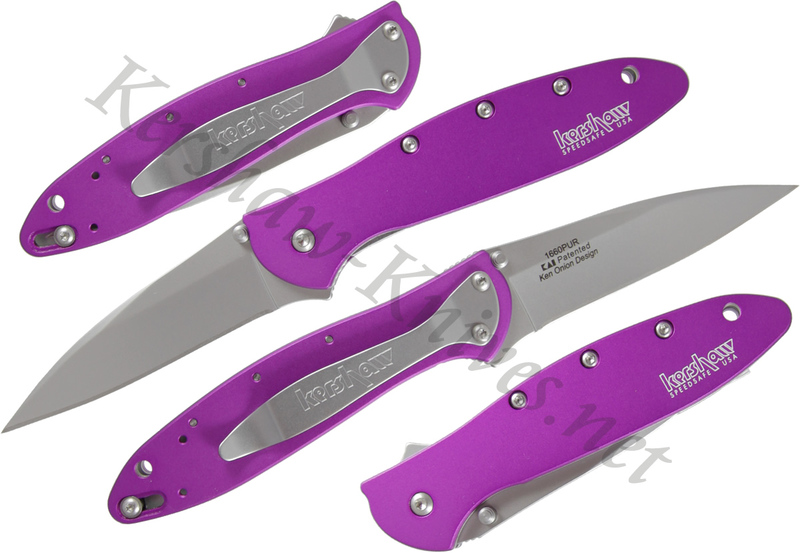 There cannot be many things more royal than the Kershaw Purple Leek knife model 1660PUR. 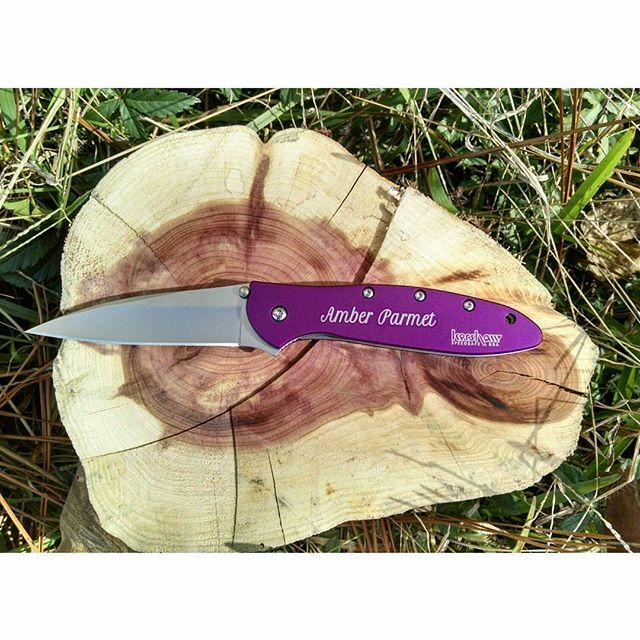 This knife features the Ken Onion opening system and a bright purple anondized aluminum handle. 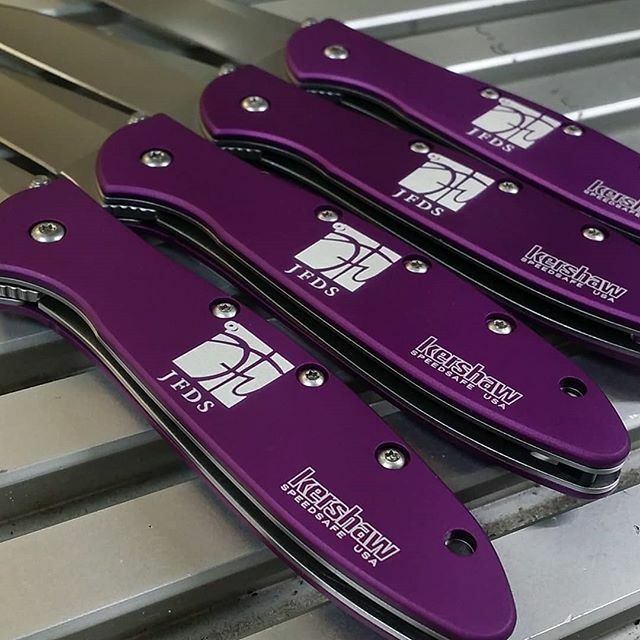 The blade locks with a liner lock, and it is carried with a pocket clip. 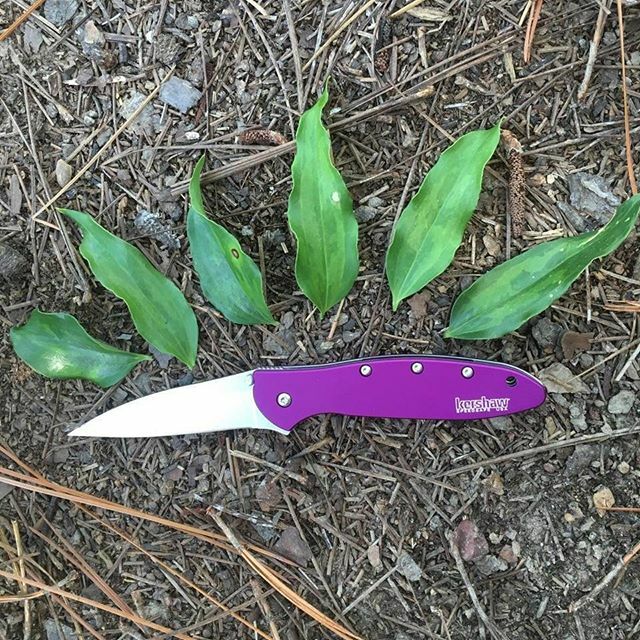 The pocket clip is reversible so you can configure the knife for a tip up or tip down carrying position.